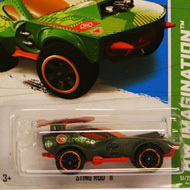 36/250 is part of the HW City series and the 2013 Treasure Hunt set. 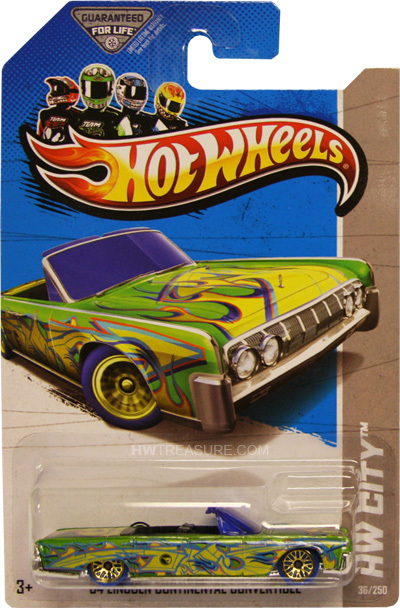 The green convertible boasts yellow, blue, and orange flames & graffiti as well as the low production symbol on the sides. 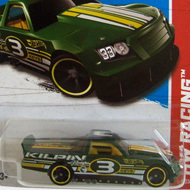 It has a blue tinted windshield, black interior, gold chrome lace wheels with blue tires, and a chrome plastic Malaysia base. The Continental debuted in the 2000 First Editions series. It is based upon the car of the same name that is recognized for its rear suicide doors.